A content dog is a happy dog. We understand and respect a dogs need for structure, security and clear communication. It is with this in mind that we have designed our daycare program. Play groups are organized by size and energy level. Much like a traditional school, the dogs are guided through a daily schedule of activities that include monitored interactive play, quiet time, behavioral direction, snack time and more. Our small size allows us to intimately cater to the specific needs of each of our guests. Most dogs, on average, clock in approximately 12-14 hours a day sleeping time! Sleep is restorative, refreshing and it feels good. While sleep requirements can vary drastically from breed to breed we provide a safe and secure outlet for all guests to fulfill their innate desire to safely and comfortably "den". Knowing and understanding boundaries are core components to any relationship. 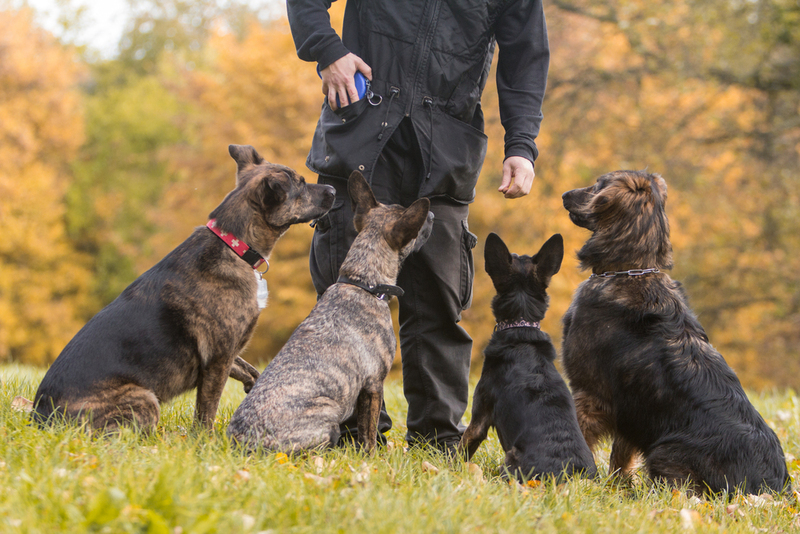 Our dogs are given the opportunity to initiate play appropriately, accept or deny play invitations respectfully and discover how to self manage and/or find new buddies during times of change. Mental stimulation is equally as important as it's physical counterpart. The dog walk offers great routine and bonding time. However, channeling a dogs energy into area's that require them to find solutions to new challenges or introduce opportunities to succeed with puzzles and games, will greatly enhance their lives. Dogs fill more than space, they fill an interpersonal void. If our lives can be compared to a system of gears, levers, cogs and gadgets, they are the oil that keeps it all going. Our dogs provide a sense of purpose that can be found through no other medium. Unconditional love, trust and dependence are freely given and our unworthiness keeps us in awe of and happily obligated to our Canine Companions. In a world of Chaos and frustration we have the privilege of spending our days doing something we love and sending home healthy happy well adjusted dogs that will be the “stress busters” they were meant to be! We believe our customers’ dogs are family members. We view them as deserving of respect and loving care. When you see in a customer’s eyes the look they get when they really understand that we care about their dogs just the way they do – when they really know that it’s true – well that’s a feeling that’s hard to describe. It’s overwhelming, it’s heartwarming. Its the combination of immense trust and honorable service that makes us so proud of what we do. And it drives us to constantly be looking for ways to improve. For a dog lover the ability to sit back and watch the natural interactions is comforting, educational and simply a great joy. The Cha Cha's family embraces change and growth. Each day we learn from our clients, both canine and their human counter parts. We also diligently seek out instruction to keep us up to date on all things dog. Each pair of eyes looks at us, confident that we have "the answers" and that belief in us, is not only humbling, but reminds us just how fortunate we are to be with your precious pets. Our standard daycare program is capable of working out some basic dog kinks, such as selective hearing, mounting, door bolting, etc. Additionally we work with a number of local trainers that can provide you customized solutions specific to your needs.